Dr. Ronald J. Valenti, Superintendent of Schools for the Archdiocese of Baltimore, informed school administrators and families of students in Archdiocesan schools this week that the Archdiocese’s Division of Schools and all Archdiocesan Catholic schools have been awarded accreditation from the Southern Association of Colleges and Schools Council on Accreditation and School Improvement (SACS CASI), an accreditation division of AdvancED, the world’s largest accrediting and school improvement organization. Formerly affiliated with the Middle States Association of Colleges and Schools, the Archdiocese sees the change as instrumental in promoting accountability and quality as it continues the process of strengthening its entire school system. A unified accreditation process with a scalable and sustainable evaluation of education quality. Research that shapes educational policy and improves learning practices. Product innovations, knowledge management and educational technologies. Dr. Valenti presented each Archdiocesan school principal with a certificate in recognition of their school’s accreditation. AdvancED serves more than 27,000 public and private schools and school systems across the United States and in 65 countries, educating nearly 15 million students around the world. 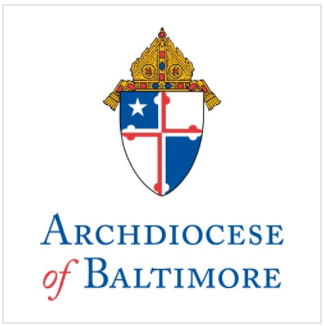 “Parents of students attending a Catholic school in the Archdiocese of Baltimore can and should expect the school and the Archdiocese are committed to raising student performance and will be held accountable for improving student learning on a continual basis,” Dr. Valenti said.